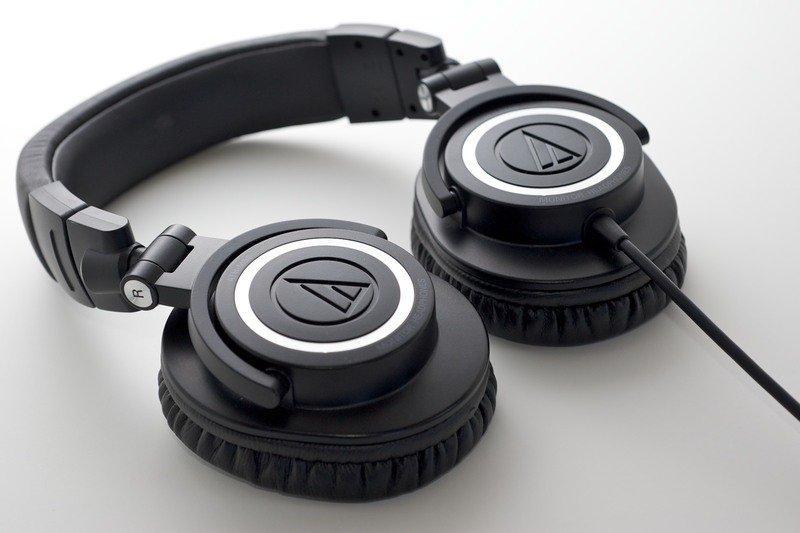 I heard about the Audio-Technica ATH-M50 almost by accident one day. A friend was asking me for suggestions for a great set of affordable studio monitors and said he was interested in said headphones. My studio headphone experience was, and still is, pretty limited. Historically I have suggested people check out whatever Sennheiser studio headphone they could afford, namely the Sennheiser HD-280 Pro and HD-380 Pro, and of course the Sony MDR-7506. So I decided to give these a try. These are great iPhone Headphones. I own a lot of headphones and I of course have my favorites and they aren’t always the expensive ones. And when it comes to headphones for a mobile device, you really don’t want something too expensive. Expensive headphones that are going to be thrown into your bag as you run out to the gym or as you go through security at the airport are just a bad idea. Now, I do own a $300 pair of super portable headphones and every time I travel with them I’m constantly checking my pockets and bag to make sure I haven’t lost them. I say these headphones are the best iPhone headphones for several reasons. Performance. Beats any, yes ANY, headphone from Apple. Even their new dual driver headphones. The bass is thumping but not messy. The lower end, while not bottomless goes deep enough for anyone less the bass heads out there. Integrated iPhone mic and button, no more fooling around with the phone to pause, advance or answer a call. If you have an iPhone, get these headphones. Toss out the stock headphones. Save the Shure SE310’s for at listening at home or at work. These are better than the Shure SE110’s and the Ultimate Ears-Metro.fi iPhone headsets. The mic is better than the Apple version and the button easier to push. I find myself leaving my Sennheiser HD600’s and Ultimate Ears 5 Pros collecting dust more and more often now that I have these cans. Though, I might venture out to try Griffin’s TuneBuds FIT headphones. If they are any bit better than the TuneBud Mobile headsets, and at such a price. Another must buy! Even at full retail, they are cheaper and better than anything from V-Moda, Maximo, Skullcandy or JBuds.